Angharad is a highly experienced trial advocate whose practise is focused on Regulatory, Chancery and Employment work. 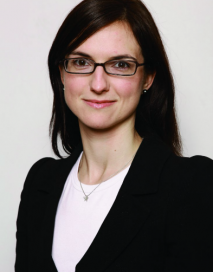 Her experience extends to representing both Claimants and Defendants from pre-action to trial in common law matters, personal injury and chancery cases including commercial and property disputes, contract disputes, trusts matters and Inheritance Act matters. As well as representing clients in court she also pleads and advises in the full range of matters. Angharad has a particular interest in Inquests as a result of her Coronial work. She has undertaken a number of sensitive inquests as an advocate concerning deaths at work, RTA’s and deaths in hospital. She is experienced in Article 2 inquests and represented the family of the deceased in the highly publicised Inquest arising from an explosion in a firework Store by Lake Windermere in 2016. Angharad has extensive experience in the EAT and is currently representing a teacher with Cystic Fibrosis who was dismissed from a York School in breach of the Equality Act. She is experienced in contentious costs matters. Alongside regular appearances in costs case management and detailed assessment hearings, she advises on a full range of costs issues of all levels of complexity. Combining her analytical, advisory and advocacy skills with pragmatism and approachability, Angharad ensures that the particular needs of each individual client are met whatever the nature of the litigation involved. Alongside her busy practice, Angharad teaches and examines on the BPTC course at BBP University. She is an accredited Advocacy Trainer with the ATC and North Eastern Circuit. She is registered with the Bar Council to undertake Direct Access work and is able to receive instructions directly from lay clients, as well as those on the traditional professional client basis. Appointed as a Chair on the Nursing & Midwifery Council fitness to Practice Panel. Angharad was instructed to Chair the Independent Flood Inquiry investigating the Boxing Day Floods of 2015 in York. She has also been appointed as an Independent Person by City of York Council. Angharad assists the Council in promoting high standards of conduct amongst its Elected Members. In 2016 Angharad was appointed an Assistant Coroner and sits in Sheffield. Kerry Ingredients v Little  UKEAT: Compensation and Polkey Reductions. British Gypsum v Thompson  UKEAT 011: Automatically Unfair Dismissal. R v Bukhari  EWCA Crim 2915: Ambit of section 155(1) of the Powers of Criminal Courts (Sentencing) Act 2000 in relation to confiscation orders. Appointed Independent Person by City of York Council to assist in promoting high standards of conduct amongst it's Elected Members. Chair of the Independent Flood Inquiry investigating the Boxing Day Floods of 2015 in York.